India: Taj Mahal built by Traitors! Judeo-Christians Zionists and Hindu extremists (Hindutva) are famous for distorting Muslim history to serve their political and ethnic agenda. Narendra Modi, as chief minister of Gujarat allowed anti-Muslims riots in 2002 which resulted in the death of over 2,000 Muslim men, women and children. The Hindu fascists also demolished over 500 mosques and other religious buildings in Gujarat state alone. India’s ruling party BJP and other Hindu extremist parties leaders who admire Hitler and Gandhi’s killer are now killing Muslims, Dalit Hindus and Christians over consuming cow meat. Last week, one of world’s seven wonders, Taj Mahal, became the victim of Hindu fascism. BJP’s MP Sangjeet Singh Som in a statement supported the removal of Taj Mahal from the list of historic buildings in UP province tourism booklet. “Many people were worried that the Taj Mahal was removed from the list of historical places in the UP tourism booklet. What history are we talking about? The man who built Taj Mahal imprisoned his father. He wanted to massacre Hindus. If this is history, then it is very unfortunate and we will change this history, I guarantee you,” said Son. The idiot was referring to Mughal Emperor Shah Jehan (died 1666 CE) without acknowledging that Shah Jehan’s grandmother Queen Jodha Bai (died 1623 CE) was a Rajput Hindu princess. “The Yogi Adityanath government had scored yet again by leaving the Taj Mahal out of a government booklet on tourist attractions. When this omission attracted considerable flak from the opposition and on the social media the BJP in government spun out a story that the booklet had mentioned only ongoing tourism projects. Not everyone was convinced, and Som as is his way plunged straight into the controversy by moving the Taj out of the ‘it is originally a Shiv Mandir’ argument that a section of the BJP/RSS have always maintained into his categorical“it is built by traitors.” Inherent in this statement made at a public rally is that the Taj should not even be retained, but be demolished as it was constructed by traitors and anti-nationals. Read of course Muslims,” wrote Indian journalist Natasha Singh on October 16, 2017. Muslims ruled partially or entire Indian sub-continent consisting of nearly 5,000 princely states between 712-1857 CE. Sultan Zahiruddin Muhammad Babur of Ghaznavi (Afghanistan) founded the Mughal dynasty in Delhi in 1526 CE which was destroyed by British colonists in 1857 CE. It’s under Mughal dynasty that all 5,000 princely states (currently India, Pakistan and Bangladesh) appeared as a united Hindustan (India) on world map while Afghanistan remained under Mughal kings. During the 1,000-year Muslim rule, the royalty never forced its Muslim religion on its Hindu subjects. The result was that when England declared India its colony in 1857, Muslims only made 10% of country’s population. Under Muslim rule, Hindus were free to practice their religion and built new temples. Hindu elites held many top positions at the royal courts, military and civic bodies. Muslim rulers did not introduce Islam to Hindus. Islam first came to the western coast of India when Arab traders as early as the 7th century CE came to coastal Malabar and Konkan-Gujarat. Rehmat Ali Wajidke was member of the Ghadar (Revolution) Party that was formed in North America in 1913 by immigrants from Indian sub-continent against the British colonial authority in Delhi. He was hanged by the British Raj on March 27, 1915 on his return to India for his participation in the party which was declared as a terrorist organization bent on overthrowing British colonial empire. After the partition of British colonized India in August 1947, Rehmat Ali Wajidke’s family migrated to Pakistan leaving its ancestral town of Barnala (Indian Punjab). Sarwan Singh Aujla, former principal Wajidke Public High School in Barnal is author of Rehmat Ali Wajidke’ biography in Punjabi poetry. Aujla also located Wajidke’s family in Pakistan and brought it to Indian state of Punjab where it was honored by Punjab government as family of India’s hero who gave his life for the country. On October 12, 2017, Vancouver-based Indians Abroad for Pluralist India (IAPI) honored Sarwan Singh Aujla, for keeping the story of Rehmat Ali Wajidke alive. When Wajidke was hanged, there was another freedom activist, Chaudhry Rehmat Ali, 20, (died in 1951) who was in favor a separate country for Indian Muslims. He is credited for coining the name Pakistan (Punjab, Frontier province, Sindh, Balochistan and Kashmir) for the new Muslim country out of British ruled India while he was studying at Cambridge, England. Last month, Iranian journalist Afshin Majlesi accompanied by four other journalists visited Pakistan to explore common history of Iran and Pakistan. On October 10, 2017 her report was published at Tehran Times which debunks Jewish media lies about Pakistan. American history professor Audrey Truschke (Rutgers University, New Jersey) claims she has been target of Hindu extremists on social media since the release of her second book, Aurangzeb: The Man and The Myth, in February 2017. Responding to her Hindu critics, she says she didn’t write the book for her critics or reviewers who dismiss her research on the basis of their hatred and distorted narratives of Muslim rule in Indian sub-continent for nearly 1000 years especially the last powerful and longest reigning Mughal Emperor Aurangzeb. The Indian ruling BJP and its anti-Muslim bigots have long declared that Mughal rulers have no place in India’s history. The other Muslim ruler who is hated the most by the Hindu-Fascists is Tipu Sultan also known as the Tiger of Mysore. Audrey Truschke is not the first author to be chased by BJP and its Hindutva allies. The have declared India’s first prime minister Jawaharlal Nehru as a traitor and meat-eater for praising Mughal rulers in his 1946 memoir, The discovery of India. Aurangzeb, as a young prince lived a very lavish life – dinning in gold-dishes, enjoying music and served by dozens of servants. However, later influenced by some Sufi scholars he decided to fight the Deen-e-Iallahi (Allah’s religion) fitna created by his grandfather Emperor Akbar, the Great to please his Hindu Queen Jodha Bai (born 1542), a Rajput princess. The new religion became the religion of the royal court. 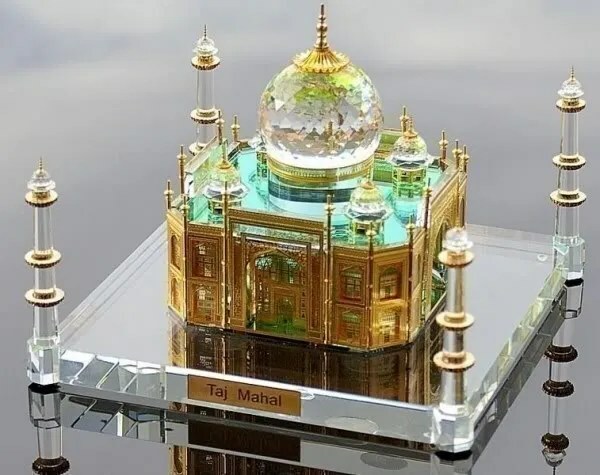 It remained such during the periods of Emperors Jahangir and Shah Jahan who built the world-famous Taj Mahal in memory of his Queen Mumtaz Begum. During the war of succession, prince Aurangzeb always maintained that he was not interested in Mughal throne but his only objective was to protect true Islam from the Deen-e-Iallahi fitna which was practiced by Crown Prince Dara Shukoh. When he was declared Emperor of India by the royal court on July 31, 1658, he declared that he wouldn’t take a single penny from the royal treasury. 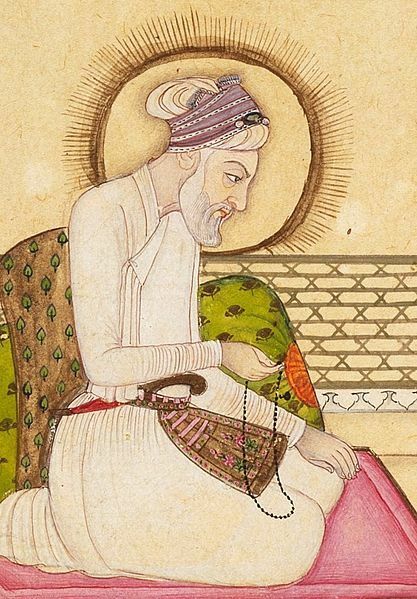 He fired all the royal servants and until his death on March 3, 1707, the Emperor of the richest country of the world lived on the sale of handwritten copies of Holy Qur’an and prayer caps. Aurangzeb’s wife Nawab Bai Ji (died 1691) used to cook food herself. Anti-Muslim Hindu and Sikh writers and authors have accused Emperor Aurangzeb Alamgir of destroying Hindu temples and Sikh Gurdawaras while both Christian and Jewish historians have not accused him of such religious discrimination. Yes, Aurangzeb did close-down some Hindu and Sikh worship places, an act against Islamic Shari’ah, but not on religious basis but because those places became breeding-grounds for anti-government rebels. Interestingly, the Mughal officials and soldiers involved in enforcing these acts had always been non-Muslims. Aurangzeb donated land and cash to several Hindu and Sikh worship places such as the Golden Temple in Amritsar, India. Aurangzeb’s royal court had more Hindu nobles than any other Mughal Emperor.